The Charles and Ray Eames Case Study House #8 welcomes Roofless Painters for a day on the property. Enjoy painting with ocean breezes and plentiful eucalyptus shade in Santa Monica canyon. Please make arrangements to arrive 15 minutes before 1pm to allow yourself to park and get settled. It takes time to access the house. Session introduction will start promptly at 1pm. See detailed parking instructions below. 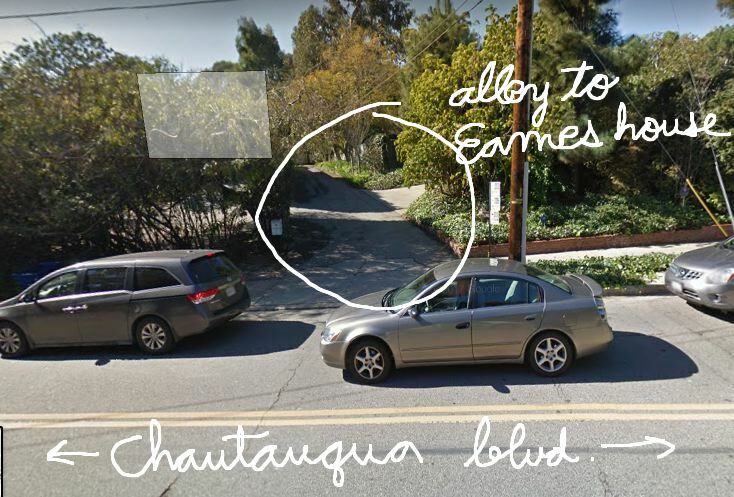 Even though the official address of The Eames Foundation is on Chautauqua Blvd, we highly recommend to use this address on your navigation device: 14802 Corona del Mar, Pacific Palisades, CA. We don't recommend typing Eames Foundation on your navigation device. Access to the property is through a private neighborhood alley where parking is not allowed. There is no parking on the foundation grounds. 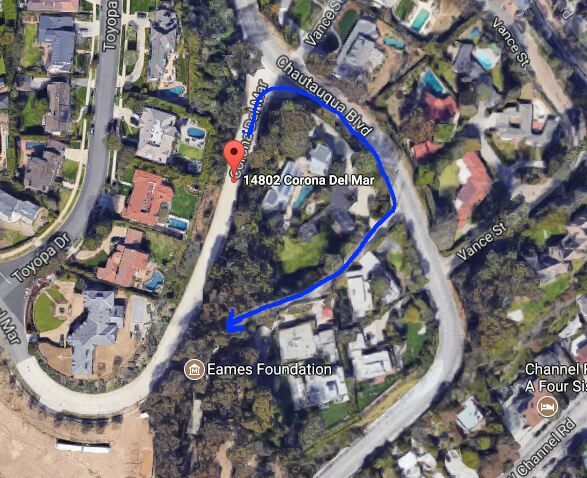 Please use 14802 Corona del Mar, Pacific Palisades, CA on your navigation device and park on Corona del Mar. There is free street parking on along Corona del Mar. Please park there and walk towards Chautauqua Blvd. You will come across a neighborhood alley that will take you to the Eames House. 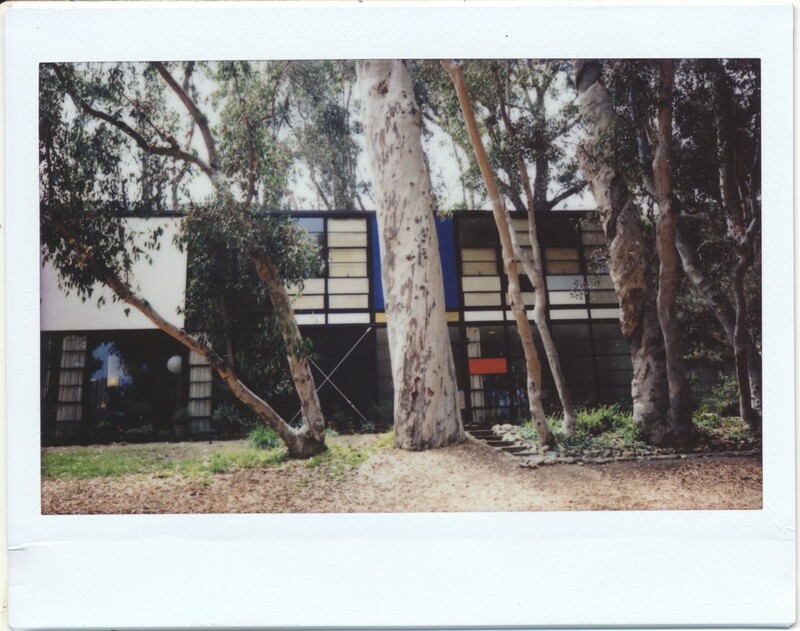 There are no sings to the Eames House. Please follow the directions on the map. Find a parking spot on Corona del Mar and then walk along Chautauqua Blvd. until the alley. 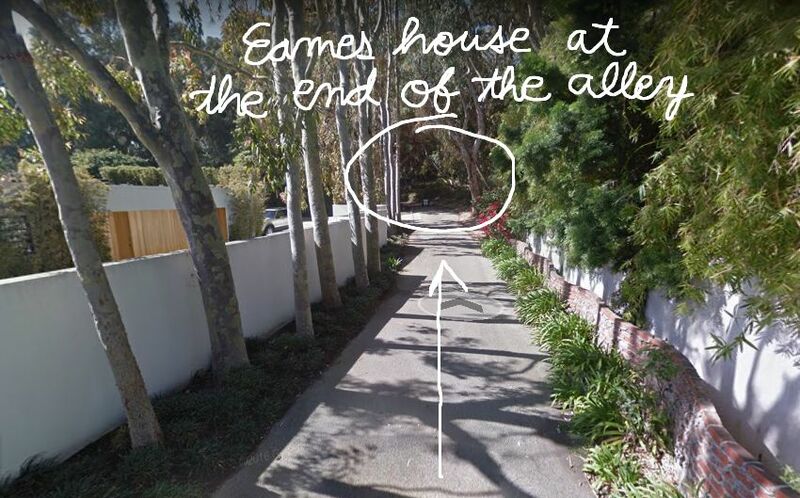 There is no sign that indicates the location to the Eames House. It's on a private residential alley. Walk along the alley. 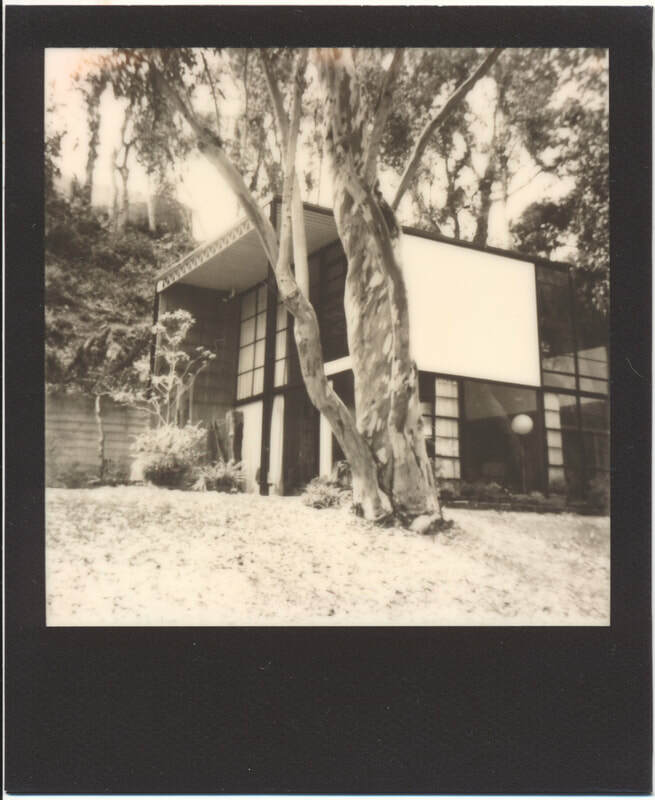 The Eames house is all the way to the end. You will only see the house when you get to the end of the alley. 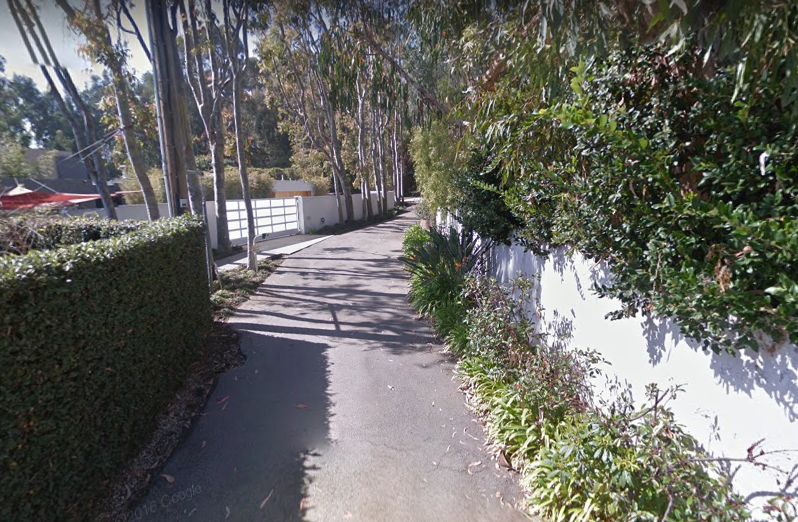 It's hidden behind the eucalyptus trees. All the materials needed for painting (easel, canvas, oil paint, brushes, supplies). The Eames House (also known as Case Study House No. 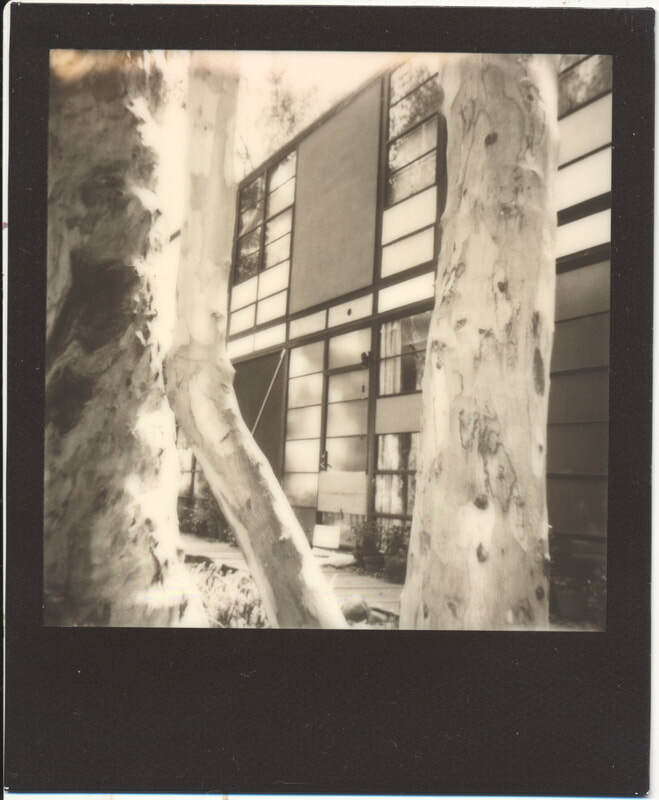 8) is a national landmark of mid-20th century modern architecture located at 203 North Chautauqua Boulevard. It sits on a 1.4-acre site near the coast in Pacific Palisades, on a wooded bluff that was once part of Will Rogers' large estate in the Pacific Palisades neighborhood of Los Angeles. It was constructed in 1949 by husband-and-wife design pioneers Charles and Ray Eames, to serve as their home and studio. Of the twenty-five Case Study Houses built, the Eames house is considered the most successful both as an architectural statement and as a comfortable, functional living space. The brash sleekness of the design made it a favorite backdrop for fashion shoots in the 1950s and 1960s. Perhaps the proof of its success in fulfilling its program is the fact that it remained at the center of the Eames' life and work from the time they moved in (Christmas Eve, 1949) until their deaths. Questions or comments about this event? We’re here to help! Add your comment below so we can answer to your request. You can also send an email to us using the form below.